As a high-tech enterprise, the company specializes in research and manufacture of metal expansion joint, pressure vessel of special metal, bridge bearing, castings& forgings, component of special metal, and high pressure cylinder. Bridge bearing products include spherical bearings, rubber bearings, swivel ball joints etc. The bearing products are widely used in railway, cross-sea, highway bridges, and rail transit etc. 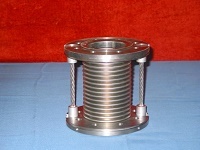 Expansion joint products include metal bellows, sleeve expansion joints, seamed and seamless pipe fittings, which are widely used in urban heating engineering, heat exchanger and pressure vessel, petrol-chemistry, and cement engineering etc. 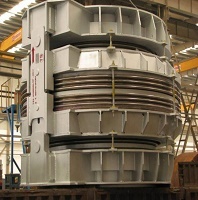 Pressure vessel products include heat exchanger, tower, mixer, reaction vessel, separator, evaporator, heat pumps and condenser. 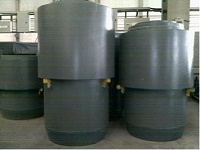 The products have been widely used in industries such as petroleum, chemistry and machinery etc. Castings and forgings of different metals and alloys such as stainless steel and alloy, anti-corrosion steel and alloy, nickel alloy etc. 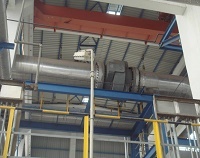 The company has national and ASME certificates, and license for design and manufacture of special equipment. The company has advanced manufacture equipment, machining equipment and testing equipment for NDT tests such like UT, RT, LPT, and MT etc. 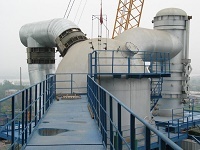 Since its establishment, Sunrui's products have been widely used in industries such as transportation, shipbuilding, petrol-chemistry, metallurgy, and electric power, and sold to Europe and the US.